L. Diane Wolfe has reached the top of my list of well-loved authors out there. 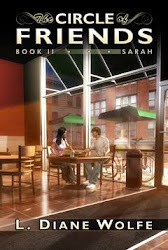 If anyone hasn't read The Circle of Friends series, they're missing out. These books give readers so much more than just a new inner strength as they read how friends struggle through and work towards their dreams. I finished the book exactly a week after I got it and I LOVED it!!! I knew the minute I got the book it wouldn't take me long to read it. I love your books and your style of writing, especially how you include stories within the story. You books are very inspiring! I can’t wait for the next book! I enjoyed your books so much because there is a positive feel to it. The characters are so great because they all have dreams, and they are achieved in the books. 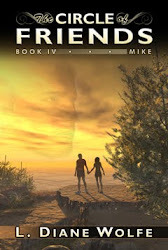 And their friends and family are so supportive, it is really inspiring to the reader. It really made me want to reach my goals and dreams. The stories are enjoyable rides through a wide range of emotions. Definitely an eye opener to goals and life intermingling! You have taught me the joy of writing and the importance of dreams. These have been two of my greatest gifts I received this year. 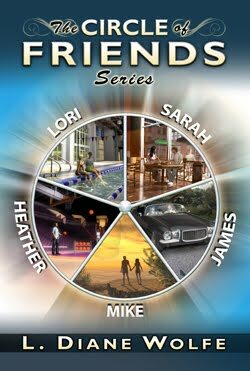 Enjoy Book III of the Circle of Friends "James”! Refreshing and uplifting narrative on the trials and tribulations of life. Excellent development of the main character who struggles with his dark side ever trying to keep his goals in mind. Thanks so much for your hard work, I enjoy reading them so much!!!! "A hopeful series that encourages one to fulfill their dreams and foster good relationships with the people in their lives." "Highly recommended for teenagers and young adults. It teaches pretty good values as well. Faith, discipline, friendship and its got a good plot." "I recommend it to anyone that might be trying to overcome challenges in order to reach a big goal, or anyone that just needs to realize that they really are special and can make a positive impact on someone else's life." 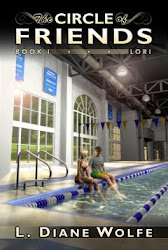 "I read LORI and loved it! I look forward to reading more." I've enjoyed the time I spent in James's company very much! The characters are so human and so courageous. It is definitely a very powerful and inspiring reading. 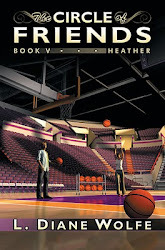 James is a book that inspires you to believe that dreams can come true, and that self hate can be overcome. I love this one with all my heart. 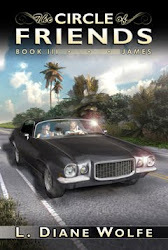 Fans of "The Circle of Friends" series are sure to enjoy the next installment, Book III "James." - Laura Castoro author of "A New Lu"
Just keep up the faith, Diane, you know you have it in you! My wife and I expect nothing but wonderful and more positive things from you. You have what it takes to be very successful. "Your characters and their relationships are interesting and believable." - FlamingNet Reviews Book V - TOP CHOICE Award Winner!